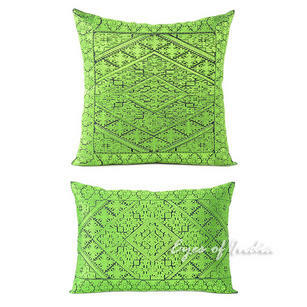 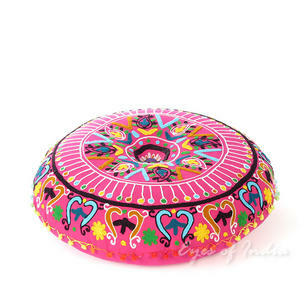 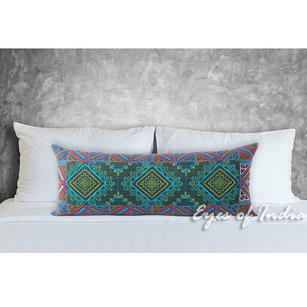 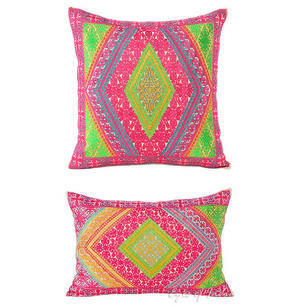 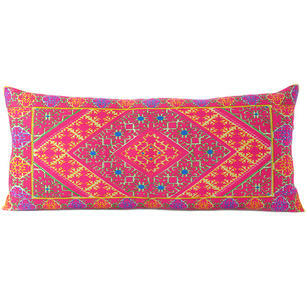 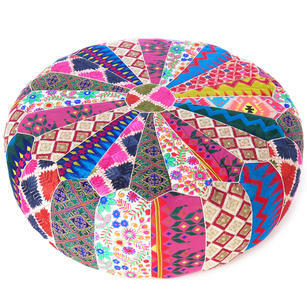 | Green and Purple Embroidered Swati Colorful Bolster Long Lumbar Couch Pillow Cushion Cover - 14 X 32"
Intricately embroidered Swati pillows and bolsters, featuring traditional geometric patterns in radiant colors. 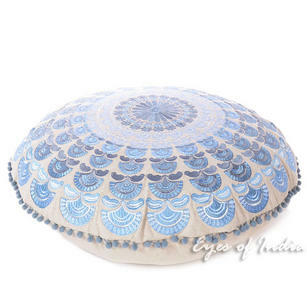 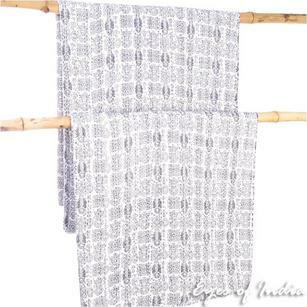 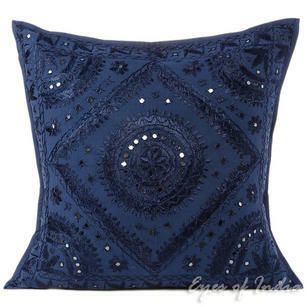 Inspired by embroidery from the Swat Valley in Northern Pakistan, these cushions are backed by solid chambray fabric and include zipper enclosure. 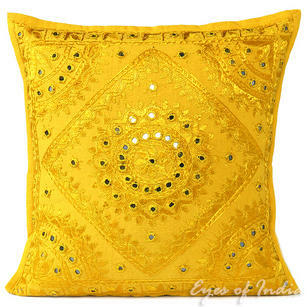 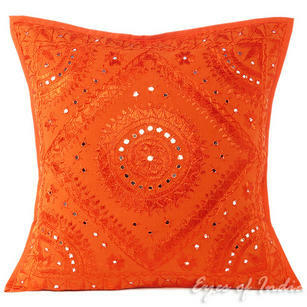 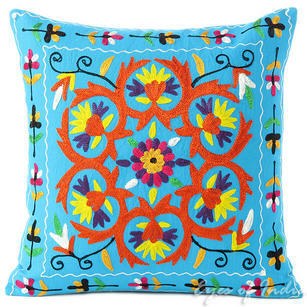 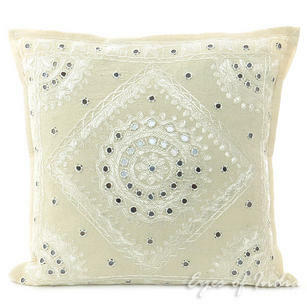 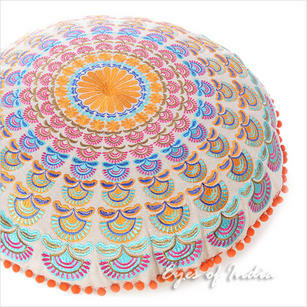 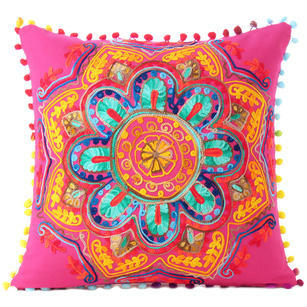 Silver Grey Embroidered Swati Colorful Couch Gray Sofa Throw Pillow Cushion Cover - 16, 14 X 20"